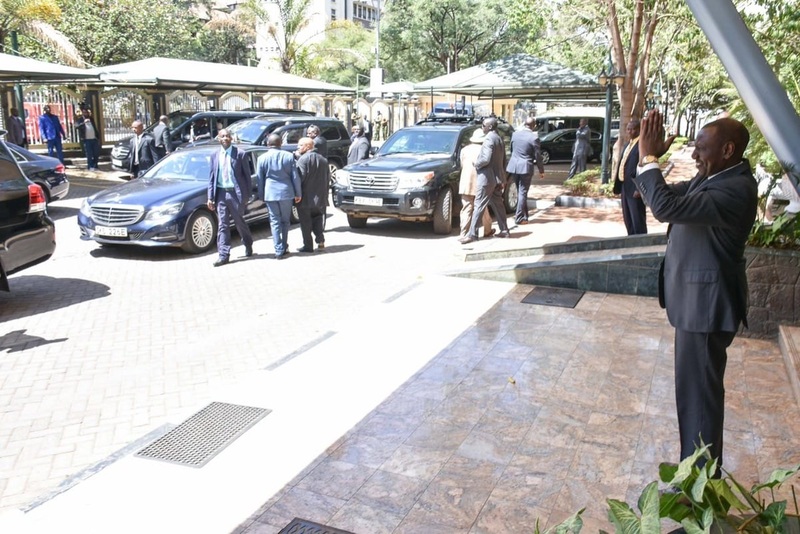 Tuesday March 26, 2019 - President Uhuru Kenyatta visited his deputy, William Ruto, on Tuesday afternoon at his offices along Harambee Avenue. The President's motorcade was seen at Ruto's Annex offices with many saying he was going to discuss issues facing the Jubilee Coalition. The meeting comes at a time when MPs from Rift Valley have demanded an audience with the President over how he is handling his DP. Over the last one year, Uhuru has been indirectly targeting Ruto especially on the ongoing fight against graft. But sources within the Presidency said Uhuru visited his DP to try to quell the rebellion in Jubilee. The meeting also comes at a time when there have been calls from the opposition to impeach Ruto.